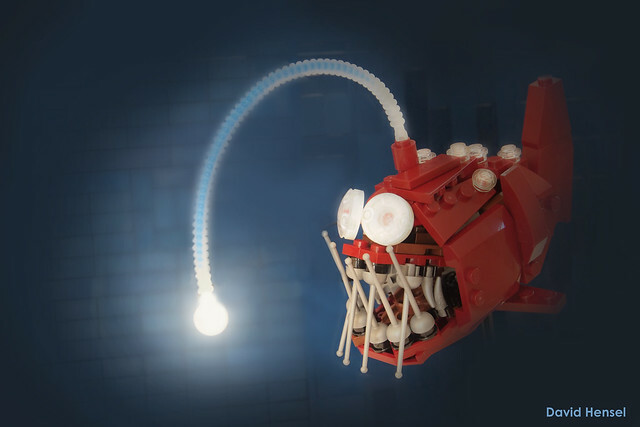 Angler fish are just about the scariest thing on the planet in my opinion. I think I'd already be freaked out in the deep depths of the ocean, even protected in a submarine, but to come face to face with one of these things I think I'd need clean shorts after. Another brilliant build from Legonardo Davidy.